The American Association of State Highway and Transportation Officials (AASHTO) established the AASHTO Accreditation Program (AAP) in 1998. The objective of AAP is to provide a mechanism for formally recognizing the competency of testing laboratories to perform specific tests. The AAP utilizes both laboratory assessment and proficiency sample services provided by the AASHTO Materials Reference Laboratory (AMRL). Geotechnics has participated in the AMRL laboratory assessment and proficiency sample programs for soil and aggregates every year since 1996. Do you need a handy guide to all our tests and methods with numbers? We have one here. The Geosynthetic Accreditation Institute-Laboratory Accreditation Program (GAI-LAP) is a test-by-test accreditation program based on site audits and annual proficiency tests. The program is intended to insure that the specific laboratory is capable of properly rendering the tests that they contract to perform. The essence of the program is to accredit geosynthetic testing laboratories for performing consensus standardized test methods insofar as equipment, documentation and testing protocol is concerned. 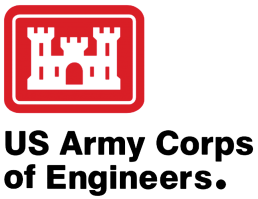 The United States Army Corps of Engineers (USACOE) conducts on-site and desk audits in order to qualify laboratories to conduct material tests for Corps projects. Geotechnics has been on-site and desk audited by representatives of the USACOE since 1990. The Corps uses ASTM practices and standards in it’s assessment of laboratories. The following is a list of ASTM practices and standards for which Geotechnics is currently accredited by the USACOE. The Geotechnics testing laboratory is recognized as being in compliance with NQA-1-1994 Edition Quality Assurance Requirements for Nuclear Facility Applications. We are pleased that our quality system meets NQA-1 requirements and our Quality Manual has been revised to reflect the new procedures we’ve instituted.